Helps you Sell your property! Selling a house in a changing real estate market can be challenging. 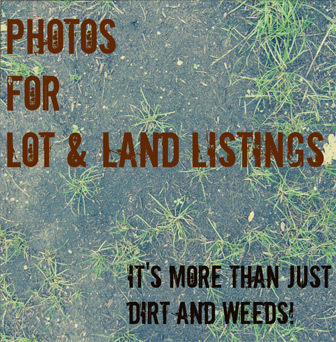 Selling dirt can be even more challenging…in any market. If you’re selling residential lots or land, don’t let your listings get lost in a sea of homes, like they can on MLS or other real estate marketing sites. 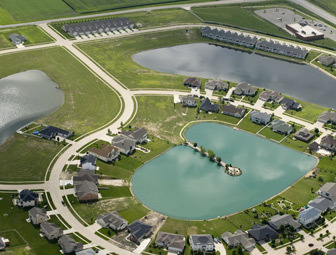 LotNetwork.com is the nation’s leading web site specifically designed for marketing residential lots and land, helping you to successfully reach active buyers like potential homeowners, builders, developers and investors. Get started today on the path to selling your property! Construction, Lot & Land Loans: What Type of Loan Do You Need? So You’ve Inherited Land... What’s Next? Not all information in our customized listing platform is required, but providing as much information as possible is helpful to potential buyers. Make the most of “My LotNetwork” for your listings, account information and subscription options. 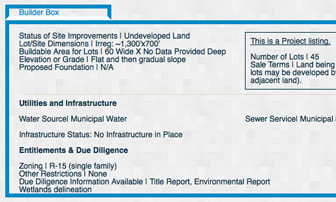 Find your Incomplete listings, update listing information or change the status of a listing here. You'll simply choose between a Featured or Premium Listing type when you add your property for sale on LotNetwork.com. These listing types help you make sure that your lot or land listing receives the highest level of visibility among active buyers. 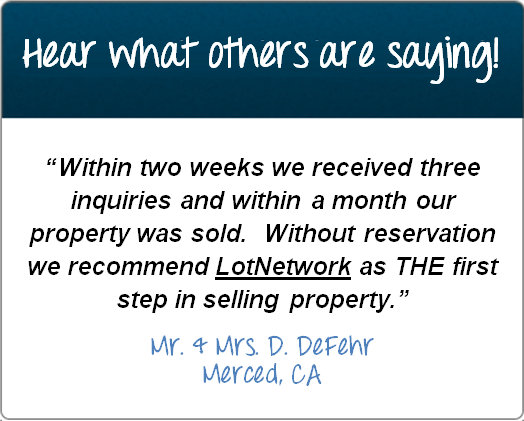 Featured and Premium Listing formats are unique to LotNetwork.com, and are customized to help sell your residential lot and land properties. Featured and Premium Listings show up at the top of search results – above all MLS-sourced Basic listings – to make sure buyers see your listing. Featured Listings come with extra benefits. Receive the highest exposure with Featured Listings and be seen in social media channels, our e-newsletter and in customized ads like these (to the right) on key pages of LotNetwork.com. You can easily convert an existing Premium Listing to a Featured Listing if you wish. Add unlimited photos and attachments to both listing types to present your property in the best light -- another exclusive benefit for Featured and Premium Listings. A “Project Listing” is a portfolio of lots or a residential development project that is for sale in a single transaction. Identify your Featured or Premium listing as a “Project Listing” to market to homebuilding industry pros – builders, developers and the real estate agents that work with them – who are looking to buy these types of properties. Marketing as a Project Listing is an exclusive benefit that is included with all Featured and Premium listings on LotNetwork.com. Read more about Project Listings and how they can help you. You can market your lot as a “Turnkey Listing” if you are a homebuilder or are working with a homebuilder that can build a home on your lot for the buyer. 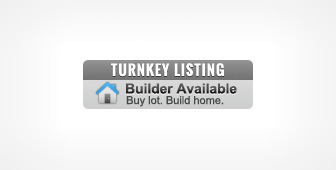 Just mark your Featured or Premium lot listing as a Turnkey Listing and buyers will know that the builder will build a turnkey home just for them. Marketing as a Turnkey Listing is another exclusive benefit that is included with all Featured and Premium listings on LotNetwork.com. 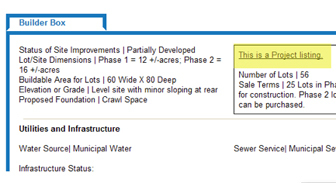 We’ve got the solution to the cumbersome process of creating new listings for multiple, similar subdivision lots. First add one representative listing, next use LotNetwork.com’s “Lot Copy” service to quickly and easily create multiple cloned listings and then just edit each for minor differences in address, price, acreage, etc. 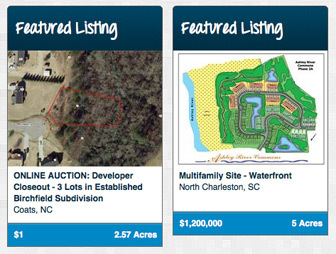 Provide all the key lot and land information in one place in your Featured or Premium Listing. The “Builder Box” is easily found in a listing by lot and land buyers like homebuilders, developers and investors. The Builders Box is another unique feature that only is available in Featured and Premium listings. Go to the blog for even more resources!